Man those are really beautiful shots. What kind of camera set up are you using? Canon 7d. 50mm 1.8f lens. Handheld. Lighting is with a desk lamp. Oh man, now i want bamboo in my tank! Seriously though, those pics are amazing and the bamboo looks really good. I say go for it. They sell bamboo here at Walmart. 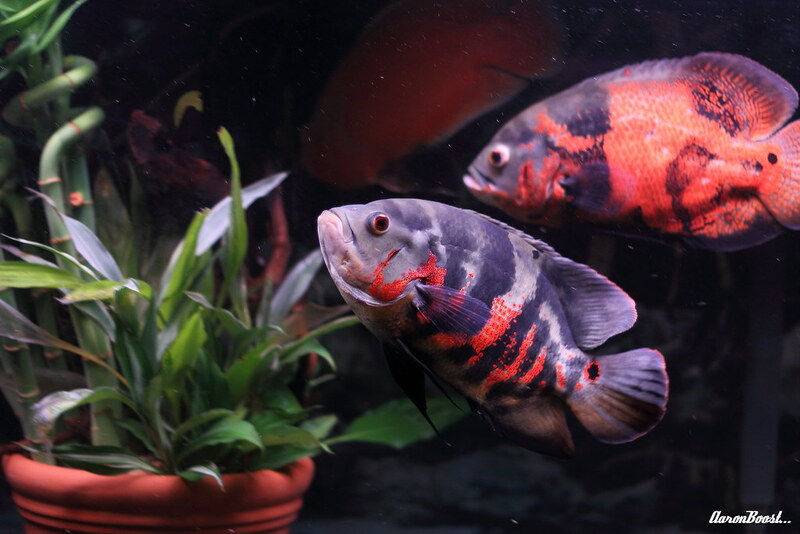 i noticed your oscars look very healthy . and with out any fin damage. how is the aggression between your oscars? and , keep up the good work. Lamp is from the top.. Almost touching the water. No flash. I feed them biogold, crayfish, feeders. Aggression is not that bad... But it does happen.. 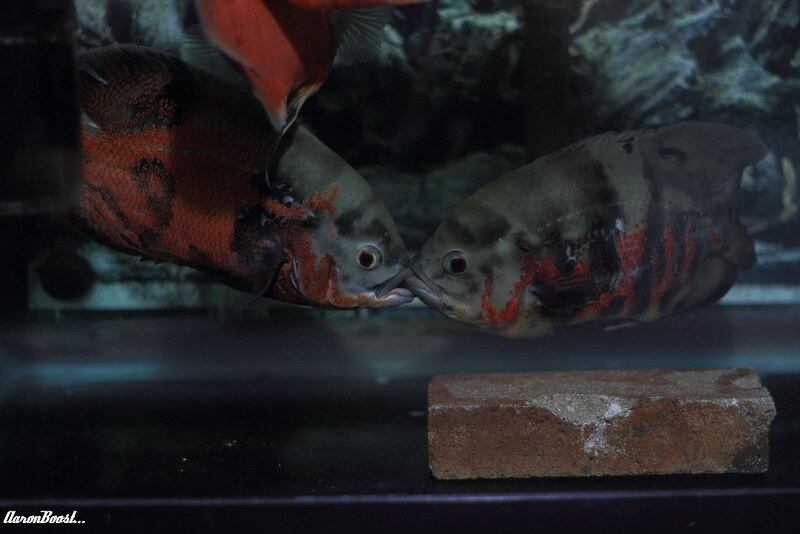 Recently they have shown alittle more aggression towards each other as they are fast approaching mating age. aaron_boost wrote: Lamp is from the top.. Almost touching the water. No flash. ok. great. . ............ keep us updates as they mature. keep up the pics. and maybe another vid soon. 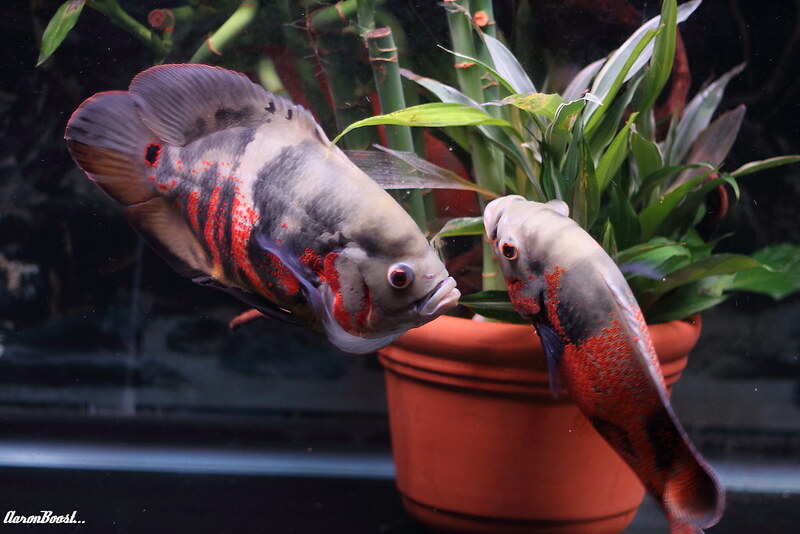 did a large water change now the 2 tigers are lip locking..
Last edit: 7 years 5 months ago by aaron_boost.